Hope you are all having nice day. Take a look and leave them a comment! To make backround I use distress inks. I can't found it to link it. Simon says wednesday challenge 15.08. Super card, love the image and design! lovely mermaid on your fab background! She is such a cutie!! What a gorgeous card my friend! Your mermaid is gorgeous. I love that stamp set from My Favorite Things. Lovely card. Thank you for all your comments on my blog. This is awesome! I love it! Thank you so much for sharing this with us at Creative Inspirations. Good luck! 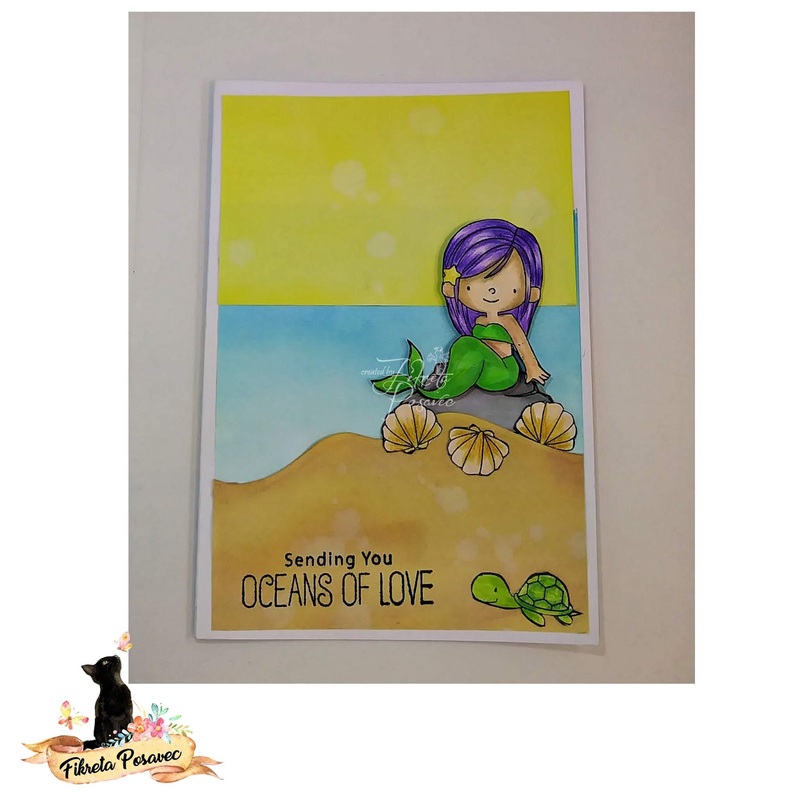 A pretty card Fiki, such a sweet mermaid. This mermaid from MFT is one of my favorite stamps I own! Love it :) Thanks for playing along with us at the Papercraft Business Challenge Blog this month!